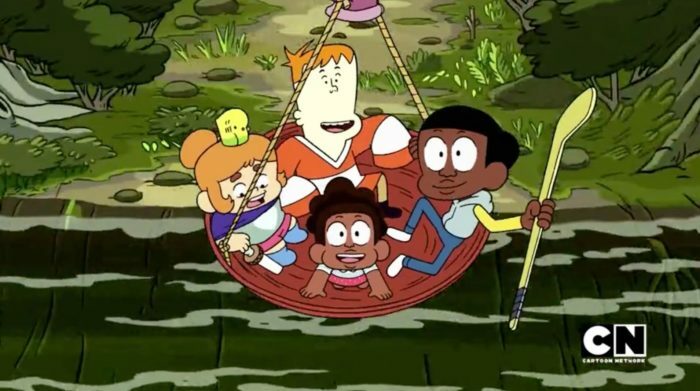 Hey there and welcome back to that article that takes a look at the voice behind all of the kids in the creek and beyond; it's time for Hey, It's That Voice! Today, we are going to look at the good boy with the map, Craig! He's a good boy. I absolutely love Craig's character so much. He's helpful, always ready for an adventure, and quite a smart cookie as well. Also, I really love the running joke there is with him being called 'Craiggy', 'Craigory', 'Craigford', and so on. He's just a good kid, just like everyone at the creek. But who is the voice behind this good boy? Why, that would be Philip Solomon! It's pretty cool to remember that Craig designed just about all the cool stuff at the Stump. Philip Solomon is still a fairly new actor. In fact, Craig of the Creek is his first major reoccurring role. His first television role was in 2014 on an episode of Sam & Cat. He has also made appearances on episodes of Fresh Off The Boat and Raven's Home. As for voice acting, Solomon has lent his voice to two recent episodes of American Dad!. Finally, Solomon appears in a new film, Thriller, which has just been released on Netflix on March 31, 2019. And that will do it for the voice of Craig! Join me next time when we take a look at the voice behind Kelsey's trusted "falcon", Mortimer!